So, I'm really liking Android Wear... I'm getting used to it and its limitations, but there's not many in the wearable line up that are for women. Not that I'm being sexist, just hearing this from many of friends who look at my watch and say it's pretty ugly. 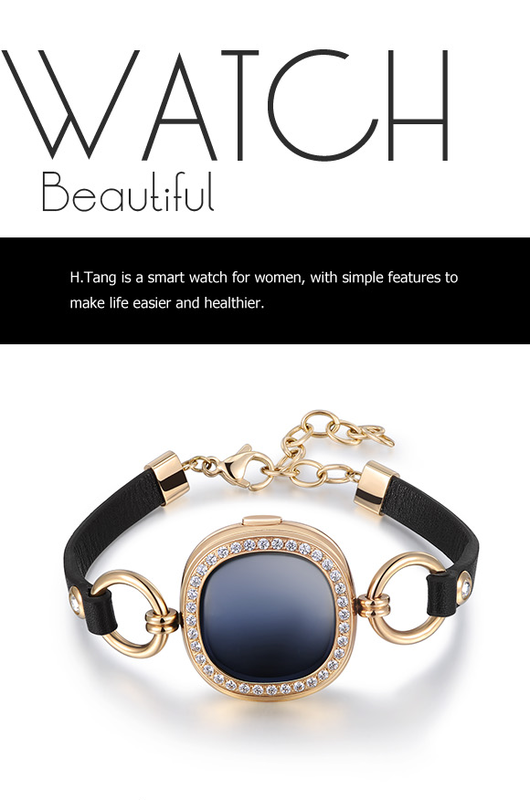 Well, H.TANG is a wearable that's designed with women in mind. I'm not being sexist, that's their slogan. When I first looked at it, I didn't think much... but then again, I'm a guy, to me it means nothing. I don't see a display, or anything like that, but it's there. The design of the watch is meant to show off first, then the features of the smart watch after. It does look pretty stylish, and you wouldn't think by looking at it that it's a smart device. It's also waterproof up to 30m and the battery should last you a week. It's up now on Pozible (think Indiegogo cousin) where you can snag a perk for about $65US.